MEDIA — Interior Design and Interior Decoration Company | Toronto, Mississauga, Oakville, Burlington | Pizzale Design Inc.
Gabriele’s interior design projects has been published locally and abroad, take a look at the most recent publications featuring Gabriele Pizzale’s interior design work. She is also houzz and DDA accredited classifying her as a professional interior decorator. 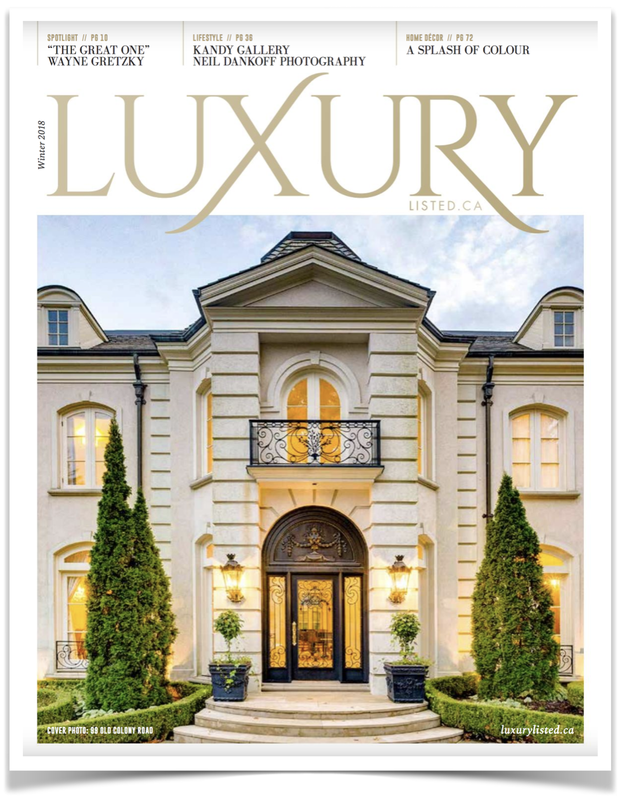 In the holiday edition of Luxury Magazine, Gabriele's main floor renovation project in Mississauga was featured, showing how colour can be the perfect addition to your everyday life! Your home should reflect the energy and spirit of your family and sometimes that means bold colours and warm accents creates a welcoming yet zestful space for you and your family to enjoy. To read the full article please click on the image above and scroll to page 72. 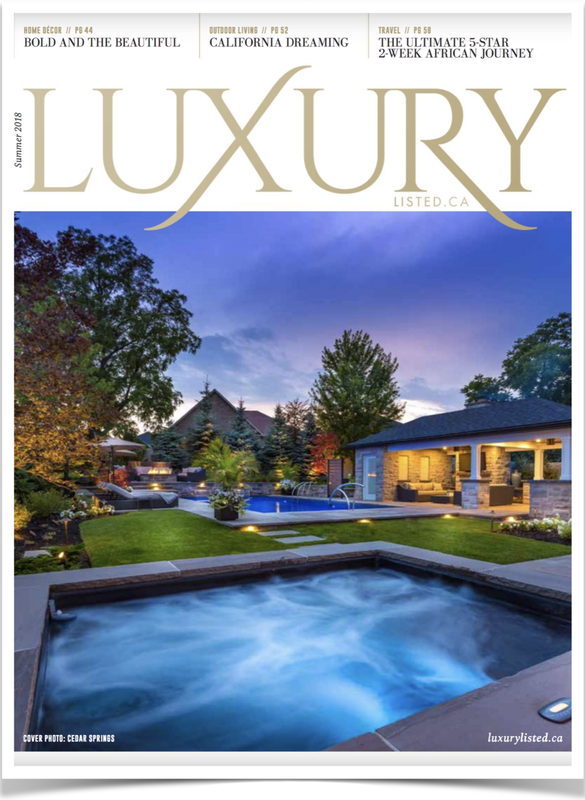 Gabriele's main floor renovation project in Toronto made it into the summer issue for Luxury Magazine, showing how to design a beautiful and functional space for a young growing family. To read the full article please click on the image above and scroll to page 12. The toronto star, summer 2018. Gabriele's cousin signed on as a client for her main floor renovation. Keeping with the existing footprint her team had to get creative to give them more living space without changing the square footage....mission complete! Read the full article by clicking on the image above. KRAVET INSPIRED LIVING, WINTER 2017. 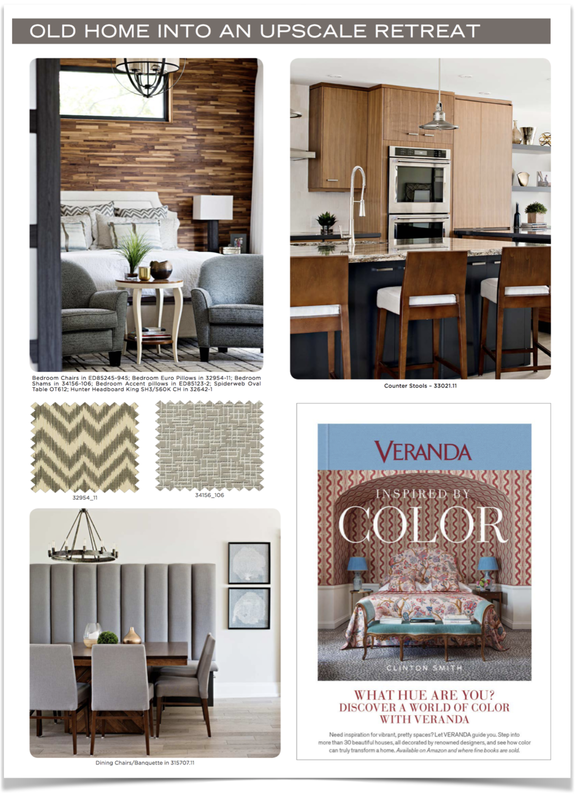 One of Gabriele's most recent projects was featured in the Kravet Canada news letter, Inspired Living. This project was characterized by it's rustic elegance, a waterfront property that was in need of the beauty inside to compliment the beauty outside. Custom furnishings, rustic lighting and bold fabric selections brought this house back to life! Click on the image to see the full article. HOME & RENO MAGAZINE, FALL 2016. This is one of many projects Pizzale Design Inc. has been recognized and featured in by Reno & Decor Magazine. With this particular project, Gabriele's fearless use of colour that brightens up this beautiful 8000 square foot home. To see this project in full, check out Rothschild Trail in the portfolio section of the website. canadian Home trends, Fall 2016. Pizzale Design Inc was featured in Canadian Home Trends - Fall Edition for her beautiful designs for a 3500 Sq.Ft Toronto home. This article showcases her ability to create personalized spaces to each family member while remaining cohesive to a design scheme throughout the home. Click on the image to see the full article. Pizzale Design Inc. has been recognized and featured in Our Homes Magazine, the Oakville Edition, yet again! Click on the image above to see how Gabriele's residential design brings the zest of life into this beautiful new build home. To see the full project, see Warren Drive in the portfolio section of the website. 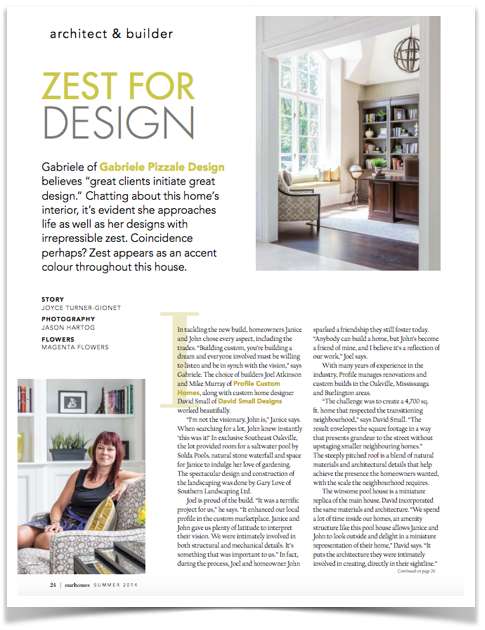 Pizzale Design Inc. was featured in the Native Trails article that outlines why her designs are distinct and her use of colour is audacious. To read the full article describing why Gabriele is considered one of the 'designers they love' by clicking on the image above! Gabriele and her team have been recognized and awarded Houzz badges consistently over the years for her excellence in both service and design. At Houzz's 5th anniversary event hosted in Toronto, Pizzale Design Inc. received the top award for 'PowerHouzzer 2015'. This is awarded regionally to candidates who have overall an comprehensive and influential design on the Houzz community. "3 Kitchens Rock a Gray-and-White Palette"
"Here’s a Toast to the 10 Most Popular Home Bars of 2016"
"Trending Now: 8 Idea From the Most Popular New Closets"
"Which is Better? Particle Board or MDF?"